David A. Bridgers, GRI, ALC. 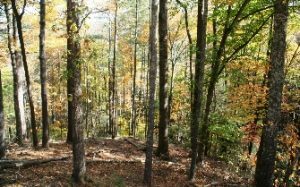 of Mountain Property Brokerage specializes in offering some of the best, last remaining North Carolina mountain property and large acreage tracts in the Western North Carolina High Country. The North Carolina foothill and mountain areas offer dramatic views and solitude not found in the big city environment. Living in the Blue Ridge Mountain area offers safety, quiet peaceful surroundings, wildlife, and streams. This is where Mother Nature puts on her best shows every day. Whether you are interested in North Carolina mountain land or North Carolina cabins for sale...Mountain Property Brokerage wants to be your Realtor® of choice. Are you looking for a great place to spend your retirement years? What about a location to build that second home or a great place to make a good real estate investment? Well, the North Carolina mountains are great choices. We welcome you to come see things from our point of view. Agent to Contact: David A. Bridgers, GRI, ALC.